Denny Hamlin won the creature at the Monster Energy NASCAR Cup Series Overton's 301. Denny Hamlin, a FedEx-sponsored NASCAR driver, spends his days racing around an oblong track at 90 miles per hour in close proximity to as many as 40 other cars, driving equally as fast. His chosen profession is risky, to say the very least. But on Saturday, when he won the Monster Energy NASCAR Cup Series Overton's 301 at New Hampshire’s Motor Speedway, his courage seemed to give out a little: At the award ceremony, Hamlin’s crew chief Michael Wheeler presented him with a 22-pound live lobster named Loudon, after the city in which the race takes place (NBC Sports claims that the lobster weighed in at 44-pounds). 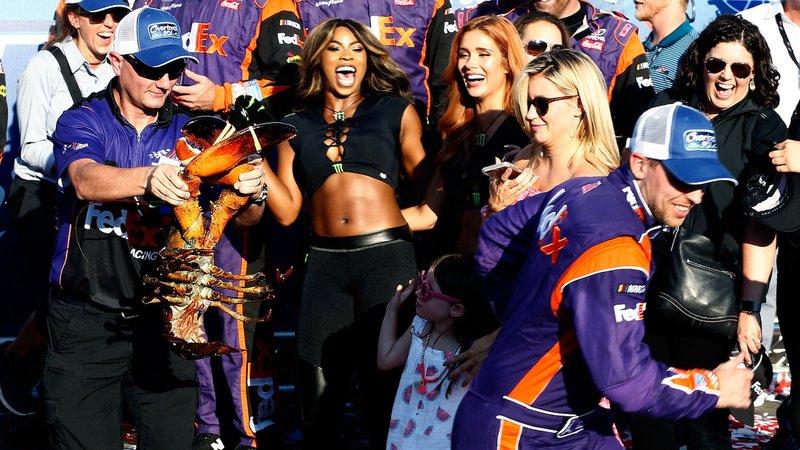 Upon seeing the beast, Hamlin made a run for it, literally pushing aside onlookers to get away from the lobster. Eventually, Hamlin gathered his courage long enough to take a few photos with his prize, though he looked very wary of Loudon. 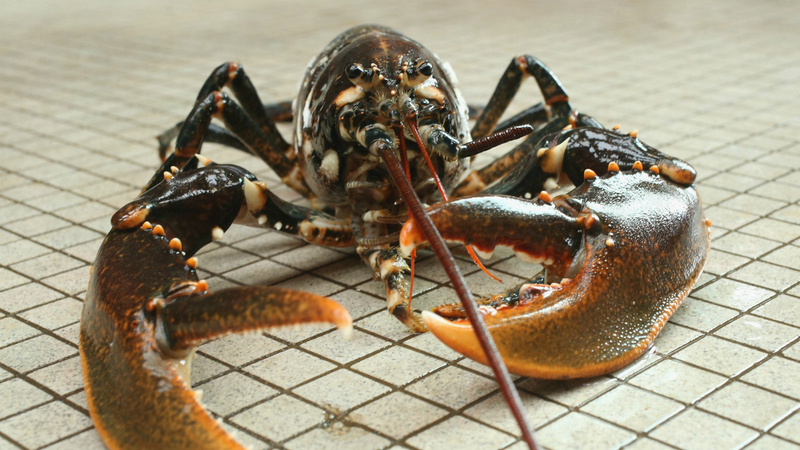 Later he explained to reporters that he suffers from severe lobster phobia. 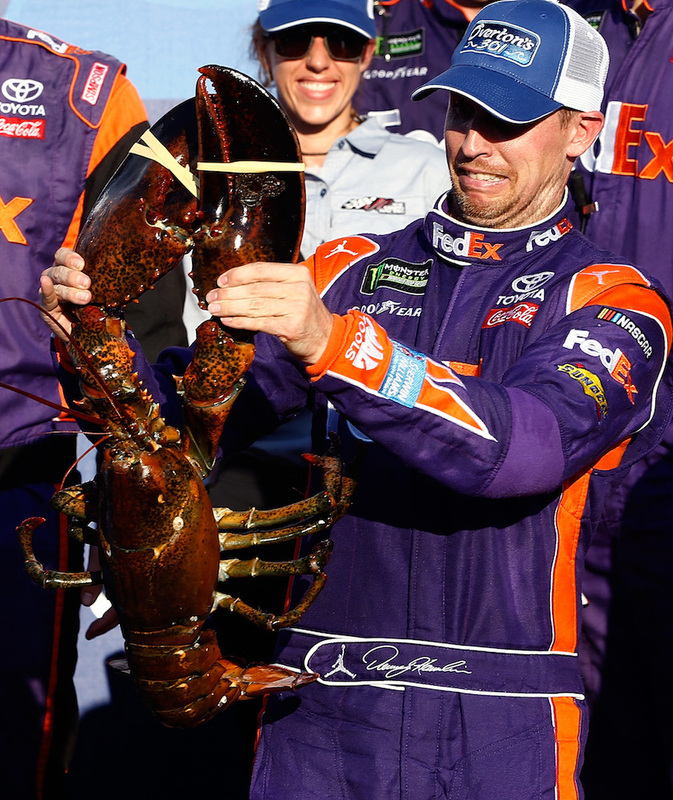 Hamlin might be afraid of lobsters, but he surprisingly doesn’t advocate for eating them. He even suggested Loudon should be released. “As far as I'm concerned, they need to put it back in the water and let it live,” he said. 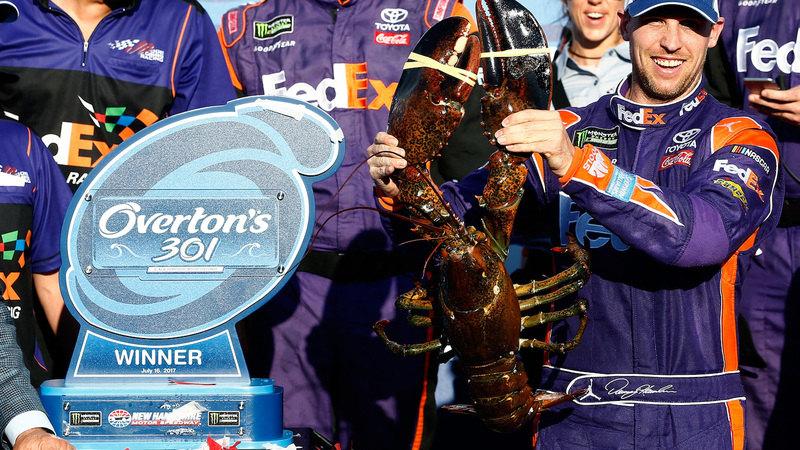 What was a super-sized lobster even doing at a NASCAR race, you may be wondering? According to tradition, many NASCAR tracks reward the winning drivers with a prize representative of that region (the Texas Motor Speedway, for instance, gives away a wooden cowboy boot), hence the New Hampshire lobster (the state does have about 18 miles of coastline) awarded to every winner at the track. Though, this is probably the first time the winning driver as run away from accepting his trophy.